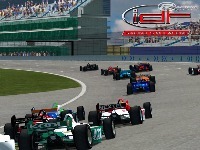 This is a conversion of our mod for F1 Challenge. A lot of people worked on this mod in both forms over the years. Thanks to Grant and Pwal for starting this project and fixing a lot of bugs. Some cars will be forward or "in your face" on the spinner. Think of it as a feature, not a mix of old and new parts causing a bug. It has no effect on the cars driving. The steering wheel is from the old mod, we decided to leave it as is for nostalgic reasons. Same for the helmets, they use the old template. The wheel meshes are new but some of the sidewalls are old textures. Theres a slight wobble on some of the disc brake textures but its hardly noticeable unless you like to stare at brake discs. LICENSE. 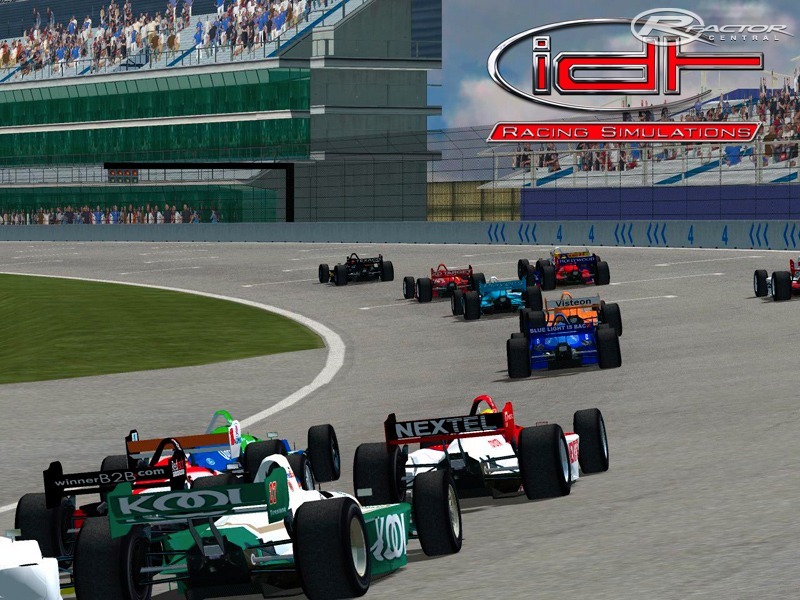 Please contact doug@idtsimulations.com for info. Extract the contents into your rFactor folder. FFB and transmission upgrades exist. They have NOT been tested with any FFB plugins (which didn't exist when the original was made). CONVERSIONS OF THIS MOD TO ANY OTHER GAME OR GAMING PLATFORM IS PROHIBITED WITHOUT PERMISSION!! Thanks to ISI, rFactorCentral.com, Pierre, Grant, Pwal, Gabe, Matt, James, Omar, Cory, Marcelo, Max, Vincent, and all the fans of our work. Thanks for any donations and go have some fun! YOU AGREE NOT TO CONVERT ANY OF THE FILES TO ANY OTHER GAMING FORMAT. Have fun and remember the F1C days in rFactor. There are currently no setups for Champcar Challenge 00-04. Add a Setup. I think you can do it without problem, if you can do the 3D Arms for the mod it would be nice. The bad-shaped arms and the Non-moveable helmets are the worst of this mod, with the Short Oval/Speedway Kits not avaible here. iDT, Could you give me permission to MAKE 3D ARMS FOR THIS MOD? You cant edit any files if your rf main folder is in your programs folder, move the whole thing into your documents folder then you can edit anything you want, its been a while since this post so you may have worked this out by now, but just in case. hey, I love the mod. I don't know if you guys are entirely done with it but could you put some extra time and effort and have some oval configuration wings added it. It'd be nice to run them flat out at Indy, or Fontana or use them on a short oval. hi, there is a problem, in the season 00-03 isn`t any speedway wing.pleace fixed. anyone know if there are templates for this mod?